The escalating debate over national immigration reform has put the workplace and the classroom on the front line, especially when it comes to communication. English as a second language has significant ramifications in productivity and safety. 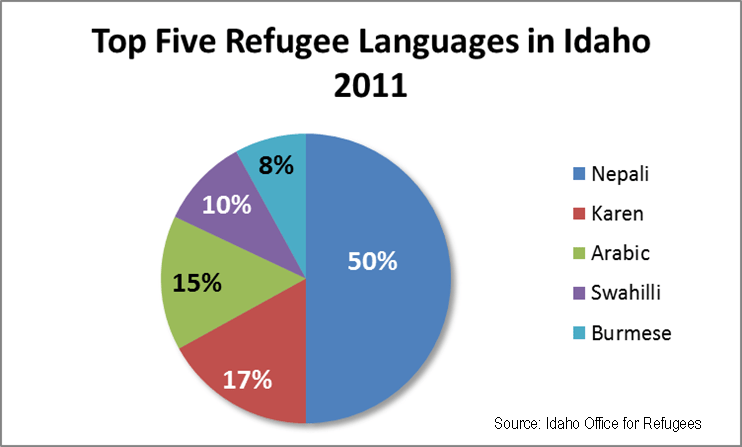 In Idaho, the vast majority of people for whom English is a second language speak Spanish. The five Refugee Centers located around the state track more language diversity although the numbers of these immigrants remains comparatively small to Hispanics. Contributing to the diversity yet still trailing the Spanish speakers considerably is Other Indo-European languages, the next largest group of non-English speakers. The changing global politics is showcased in the differing top five refugee languages in 2005 versus 2011 with Nepalese taking the majority lead over Turkish. The universities and high technology companies draw many international students and interns as well as highly-skilled professionals from across the globe. Members of this group have a better grasp of the English language, but it is still not their native tongue. 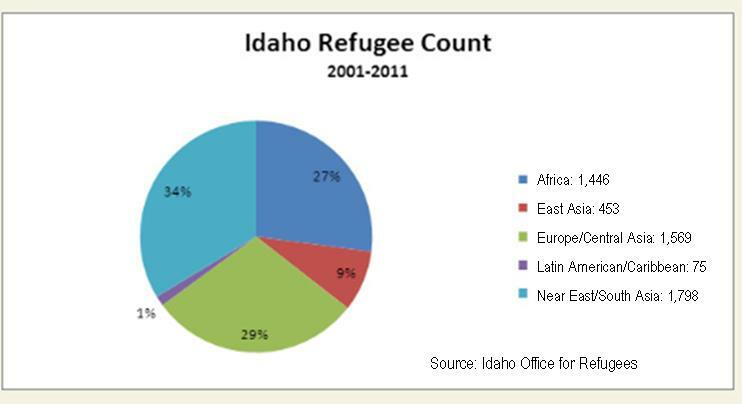 Based on Census Bureau data, the Idaho counties with at least 10 percent of population speaking a primary language other than English are all in the southern part of the state, likely the result of the strong presence of the agricultural and service sectors jobs including retail, hospitality and business. The counties with the largest percentages of people speaking something other than English as a primary language are typically smaller counties, which have limited resources for English as a Second Language education. Idaho’s average family size is 3.14 while the majority of these counties with high levels of non-English speakers have median family sizes of 3.35. The county with the highest was Bingham at 3.6 and the county with the lowest was Clark at 2.9, both in eastern Idaho. With school-age children being immersed in English, the level of non-English as a language could possibly decrease over time if immigration remains flat. According to the Pew Hispanic Center, illegal immigration, primarily from Mexico, dried up during the Great Recession after peaking at 12 million in 2007. The current estimate of illegal immigrants is 11.1 million. Twenty-five percent of the nation’s permanent farmworkers are illegal immigrants. More locally, Bob Narebout of Idaho Dairymen’s Association estimates between 70 and 85 percent of Idaho’s milking workforce is not legally documented. Employment and educational opportunities are significantly greater for people fluent in English. The advantages outweigh the time and discipline required to become fluent, and most community colleges provide free classes to improve English skills. Too often, however, those for whom English is a second language are hampered by having to work multiple jobs for low wages, and time becomes more valuable than the financial opportunities created by English fluency. The children of most immigrants realize the educational benefits of learning English and are aware that it can eventually lift a household out of poverty. This entry was posted in Employers and tagged diversity, idaho department of labor, languages on April 2, 2013 by Idaho Department of Labor.